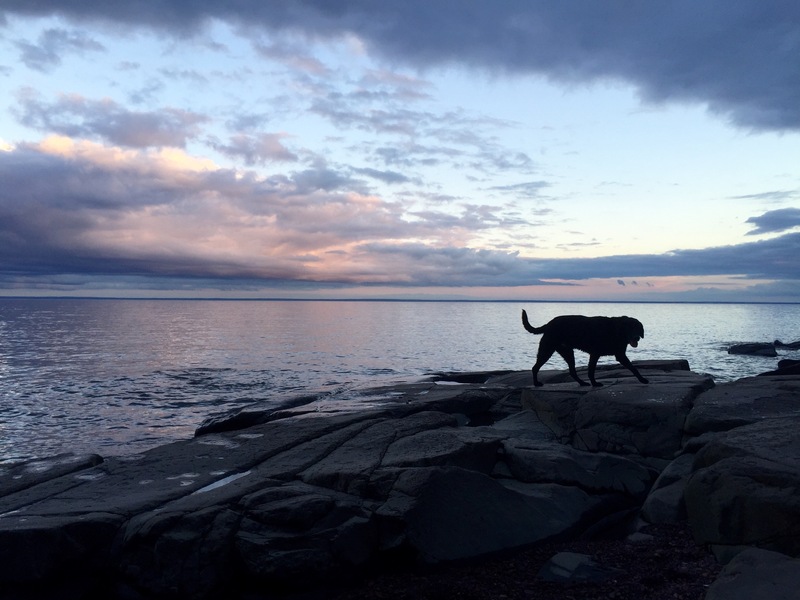 Lake Superior – Travel. Garden. Eat. The fog-like clouds hung low over Lake Superior, the sun trying to push through and welcome the day. Peer pressure is a good thing … when the temperature is in the 20’s (Fahrenheit), and it is more tempting to hit the snooze button rather than roll out of bed and dig out the winter running layers. We were reminded how fortunate we are in Duluth to have countless trails and roads with amazing views — every season of the year. Always grateful for the run. I usually do not condone graffiti, but have to admit this inscription on a large rock brought a smile to our faces as my friends and I walked along Lake Superior’s Brighton Beach. Lord Byron’s words are fitting, given the fury Lake Superior unleashed just over a week ago, rearranging the shoreline and man-made paths. Gratitude for Nature’s gifts, as well as for words that stand the test of time.